So, for June we’ll be doing a nutrition challenge! One of my friends happened to invite me to one of hers, and it’s perfect, so I’m hopping on board and hope you will join us, too! It’s the “Get Your Greens on Challenge.” I challenge you to eat AT LEAST one green thing every day in the month of June. That green thing must be a fruit or veggie. I’d really love to see us all strive for a green veggie every day. There are so many fresh and local green veggies available to us this time of year. Visit your local farm stand or farmer’s market. Why not come home with something you’ve never tried before? Loaded with vitamins and minerals. Dark leafy green vegetables are one of the best sources of nutrition, and they’re low in calories to boot. Greens such as spinach, kale, broccoli, and dark-green lettuce contain minerals including iron, calcium, potassium, and magnesium as well as vitamins K, C, E, and many of the B vitamins. Vitamin K alone can help regulate blood clotting and may help prevent and reduce inflammation, protecting us from inflammatory diseases including arthritis. A cup of most cooked greens such as chard or kale provides at least nine times the minimum recommended intake of vitamin K, and one or more servings of greens a day has been associated with a lower risk of diabetes. They keep our immune system functioning well!Green vegetables also contain many phyto-chemicals and beta-carotene. These nutrients help protect cells from damage, improve immune function and can help protect our eyes from age-related disease, and some studies suggest that lutein and zeaxanthin may reduce the risk of certain types of cancer such as breast and lung. Cabbage, Brussels sprouts, cauliflower, and broccoli are rich in substances that also help guard against colon and other cancers. And green veggies are loaded with folate, a B vitamin especially important for women of childbearing age (remember how they always tell us to take vitamins with extra folic acid?). The Centers for Disease Control and the FDA currently recommend that women take in 400 micrograms of folate daily, twice as much as was previously recommended. They’re a great for any nutrition regiment (I hate to use the word “diet,” but that might be what you call it). Greens are naturally low in carbohydrates and rich in fiber, making them slow to digest, so you’ll feel full longer. And the good news is that in order to get the most out of your green vegetables you should eat them with a little fat, such as olive or walnut oil, so you can sauté, stir-fry, and make tasty salad dressings for your greens and enjoy! So what do you say? Will you be joining us for this challenge? If so, she even set up a support group on Facebook! Join here! But wait, didn’t you say challengeS? YES! For the month of June I’ll be starting The Love Dare (the book based on the movie Fireproof ). It lasts longer than a month, but if you missed my post Chasing the Wind I realized this is something I need to do again! We get so busy with life we forget about the time and attention our spouses need! So yes, obviously he’ll know I’m doing The Love Dare, but that’s OK! You can choose to tell your spouse you’ve chosen to do it or just surprise them and do it! 🙂 I will also be setting up a Facebook group for this as well as sharing my journey on here! 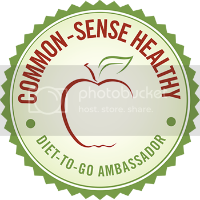 The Facebook group will be a closed group for privacy reasons as this is a little more personal than just a nutrition challenge! Request an invite by Contacting Me or head over to my Facebook Page and send me a message there! 🙂 I’d love to have you join me on this challenge as well! With Father’s Day coming up this month as well I really want to show my husband how much I appreciate him by taking this challenge!